As a 30-something-year-old woman, I have gone through so many trials, battles, and struggles. I have lived in very dependent relationships. I have moved back in with my parents out of desperation. I have been as broke as broke can be. I’ve been without a car. I’ve been without a job. I’ve been down in the dumps more often than I can recall. But the thing is, I’ve come out of it all as a much more self-sufficient woman because of the lessons I’ve learned. Some of them were lessons that I wish I hadn’t had to go through. But the perk is that I get to help you to not relive some of the struggles I went to by teaching you the lessons I learned. 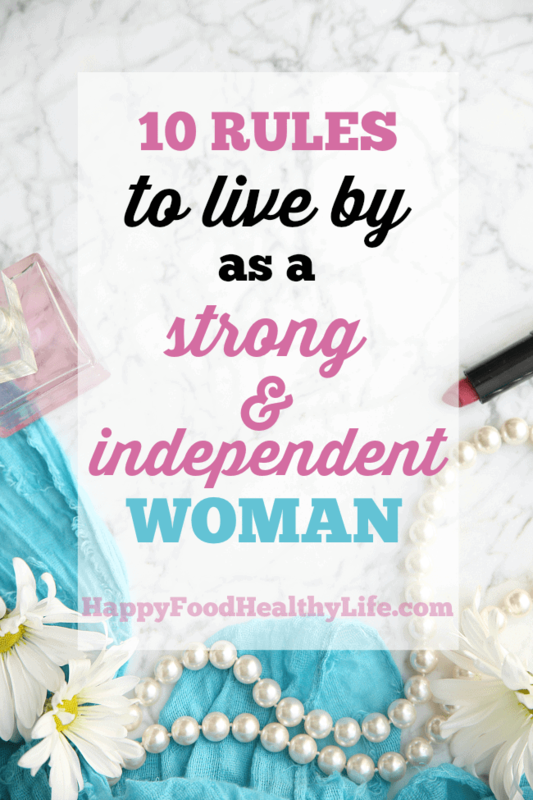 The lessons that helped me to become a strong and independent woman and I’m sure will help you as well. 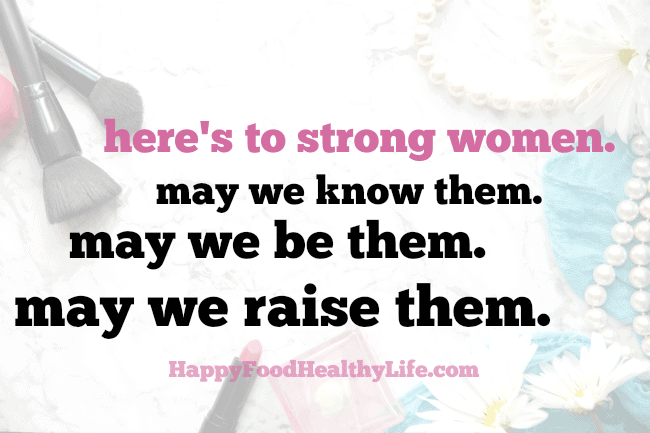 Strong & Independent Women. Know them. Be them. Raise them. 1. Learn how to live on your own. Living alone can actually be one of the best opportunities a woman can have in establishing her independence. You will learn so much about yourself and the ways of the world just by having your own apartment. You’ll learn how to clean up after yourself. You’ll learn how to self-motivate because no one will be there to do it for you. You’ll learn how to sleep at night without freaking out about all the little sounds in your home. Sure, there are a lot of fun times to be had with roommates, but there comes a time when you should at least try to break free and live on your own for a little while. And who doesn’t want a little less roommate drama from time to time, right? Plus, no one will steal your food or leave wet towels on the bathroom floor. Total perks of solo-living. 2. Learn how to be single. This goes right in hand with living on your own, but I thought it was important enough to mention separately. All through high school and college, I was always dating someone. Once something ended with one person it wasn’t long before I moved onto the next. It wasn’t that I was being promiscuous, but I’m pretty sure that I had no clue how to be alone. Thank goodness, after my son’s dad and I parted ways, I spent a good amount of time not dating at all. Instead, I spent that time focusing on myself, my life, and the things that mattered most. I learned how to be more independent and not rely on someone else for my happiness. I learned how to handle hard situations on my own. I learned how to fix things when they broke, including my emotions. And don’t think that being single means you can’t go out and have fun. Keep dating. Keep mingling. But make a pact with yourself that you’re going to spend some time out of a relationship. A good year or 18 months would be ideal. You’ll be surprised how much you learn about yourself in that time as an awesomely independent single lady. 3. Learn how to cook for yourself. I’m not just talking a box of mac and cheese here. I’m talking, from scratch sauces. I’m talking soup that doesn’t start with a condensed version of itself that you just have to add water. I’m talking pasta that doesn’t start with dehydrated noodles. Learn how to make yourself quick, easy, and healthy meals. You’ll be proud of yourself, plus there’s the added benefit of being healthier because you won’t have to go out to eat as often. 4. Learn how to cook for someone else. Once you’ve mastered cooking for yourself, it’s time to have people over to your place for dinner! It’s so fun to host dinner parties and holidays, but the stress climbs when you’re not confident in your cooking skills. One day you’re going to want to win the heart of some lucky man or woman, and you know that the best way to do that is through a delicious meal cooked especially for them. Plus it’s major points with your future mother-in-law if she knows you can cook. 5. Learn how to go to a restaurant or a movie by yourself. This is not always easy and takes some real guts, but over time you’ll get the hang of it. Don’t be ashamed. Don’t worry what other people are thinking. Just go do your thing and enjoy yourself. Pick a restaurant you’ve always wanted to try or a movie you’ve been wanting to check out, and just go do it. There’s really nothing stopping you except for yourself. You’re worried that people will feel sorry for you. You’re worried people will think you’re a loser. You’re worried you’ll just look dumb. Maybe they’re thinking those things. Maybe not. Regardless, who cares. Learning how to go do things by yourself will help you to stop worrying what others think. 6. Learn how to track and plan for your cycle. Yup we’re totally going there. This lesson took me years to learn, and my goodness, what awkward years those were! You know what I mean, right? Sitting in the middle of an important meeting only to realize that your period just started. And to top it off, you don’t have anything with you so you’re totally not prepared and have to ask around the office for feminine products. Talk about embarrassing, right? As a self-sufficient woman, it’s totally important to track your cycle and get a feel for how many days it generally is so you can prepare ahead of time. Let me tell you what I do. On the day I start my period, I put a mark in my calendar and then see how many days it has been since the 1st day of my last one. Over the course of a few months, I’m able to see about how long each cycle is, give or take a few days. Of course, there are apps that can track all this for you, but I’m more of a pen and paper gal. 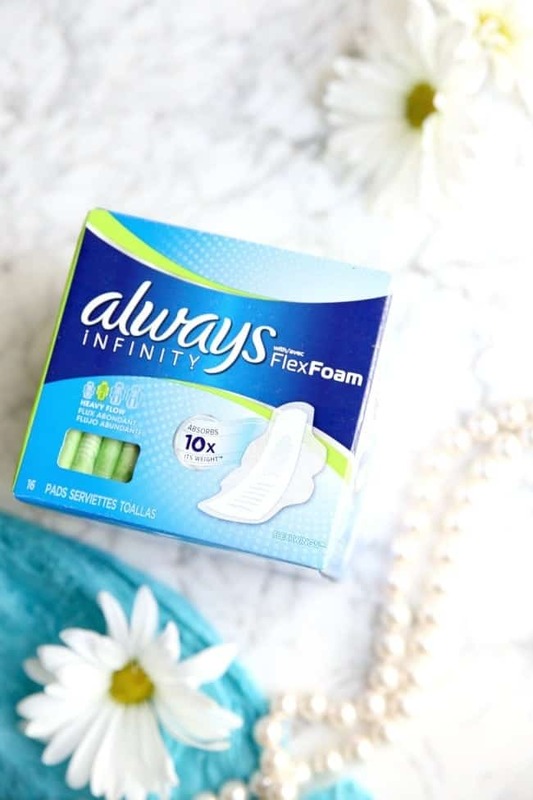 Anyway, a day or two before I think I may start, I’m sure to wear Always Infinity pads. You’re probably thinking, pads? Seriously?! Here’s the thing. Tampons have the risk of toxic shock syndrome and are made out of synthetic materials, so I’m a little hesitant to wear them days before I actually need to. But again, I don’t want to be surprised in the middle of a hot date with no protection. So, yes, the days before I start my period, I choose to wear Always because of their new FlexFoam material that absorbs 10x it’s weight, yet feels like nothing. These aren’t like your old-school diaper pads. These form to your body and move comfortably with you as you go through your day to day. Dude, if this girl can move while wearing them, so can you! I feel bad for any woman who gets caught off-guard during that time of the month, and I’m tellin’ ya, I used to be that woman. That happened one too many times, and I decided it was time to take control of the situation and always be prepared. 7. Learn how to write a resume and get yourself a job. No one’s gonna go out and get a job for you. And no one’s gonna pay your bills either. Some how, some way, you are going to need to figure out how to get a job to pay for that apartment that you’ll be living in by yourself, right? And all that food you’ll be cooking for yourself and your friends. So do a little research online and get yourself a good template for a resume. Keep it up to date as you get a new job, learn a new skill, or get any certifications. The worst thing is when you’re trying to get a job and you have to spend the next week trying to compile the last 10 years of your life. If you’ve had many different jobs, that can be a real pain in the arse. Here’s a little bonus tip for landing a job after you’ve interviewed: Send a thank you note to the person you interviewed with. That extra little touch is something that will help you stand out from the crowd. 8. Learn how to budget your money. Ok, so once you land said job, you’re gonna need to know what to do with your hard-earned cash. I know, I know. It’s SO fun to spend. All the shoes. All the bags. All the makeup. Target can easily wipe out an entire paycheck within a matter of a few minutes. So a budget is totally necessary if you’re going to be a smart and independent woman. Get yourself a blank spreadsheet and start plugging in the numbers. How much money do you bring in every month? What bills and expenses do you have to pay every month? What’s left over after that? Bonus tip: There are some things that will inevitably happen every single year, like Christmas, car registration, or other annual dues. Yet, they always seem to sneak up on us and we have a hard time scraping up the funds. Instead, what if you decided how much you’re going to spend on Christmas (or how much your car registration is), divide it by 12, and put that money aside every month? That way when the time comes, you’ll have that money saved up and won’t be left scrambling. For other money tips and advice, I HIGHLY recommend Dave Ramsey. 9. 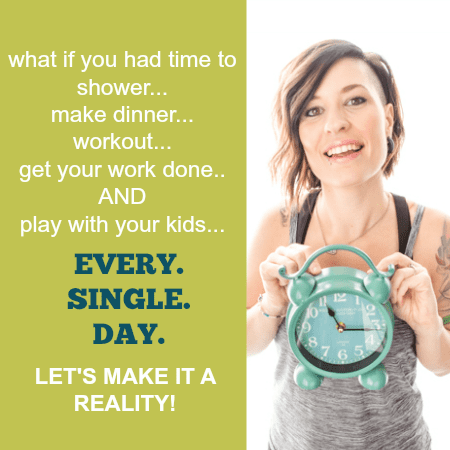 Learn how to make and keep a schedule. Appointments, dates, workout schedules, etc. There are so many things in our day-t0-day lives that it’s hard to keep track of it. I know this sounds easy, but so many people don’t have a system to keeps their lives in order. Find a place to store all your scheduling notes and calendars, and stick to it. Whether it’s pen and paper like I’ve stuck to or it’s an app that you keep on your phone. Find what works for you and be diligent about it. The last thing you want is to miss that important job interview or a dinner date with your bestie. Don’t let others down. Keep your life in order. 10. Don’t worry about breaking the rules. Some rules are made to be broken. Here’s the thing. There are all these rules that are set for women. Wear white between Memorial Day and Labor Day. But you know what, just do you! If you swear like a sailor, by all means, drop that F bomb. If you’re feelin’ the chemistry on the first date, carpe that diem, and move in for the kiss. The only rule is that you’re true to yourself in this thing called life. If you liked this post, make sure you share it on Pinterest, Facebook, Twitter, or StumbleUpon using the buttons below.